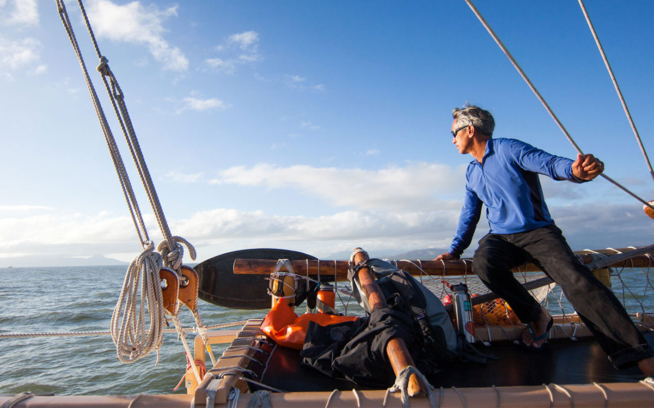 Nainoa Thompson is the president of the Polynesian Voyaging Society and a master in the traditional art and science of Polynesian wayfinding. Through his voyaging, he has opened a global, multigenerational dialogue on the importance of sustaining ocean resources and maritime heritage. Nainoa has dedicated his life to exploring the ocean, maintaining the health of the planet and ensuring that the ancient marine heritage and culture of Polynesia remain vibrant into the future.